Commander has a voice and does "talk" to me. We publish articles in our local horse magazine, Horse Previews. He, of course, presents his stallion viewpoint on subjects and somehow the conversation always comes back to...mares! To read some of our articles... (click) here. Coming soon! Commander, if you're going to be a famous writer, you need these glasses! 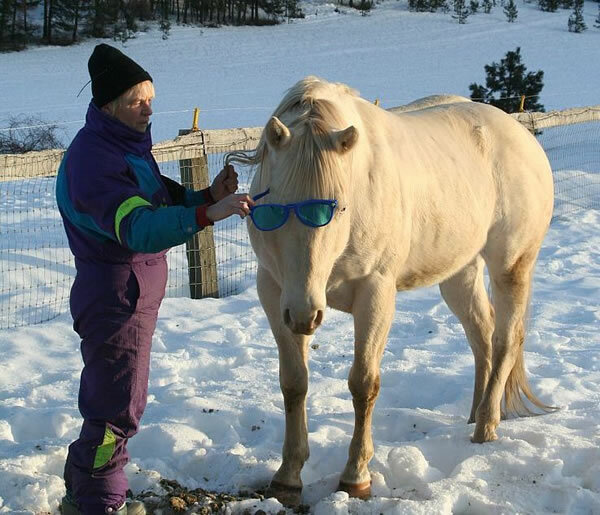 Do you really think the mares would like me better with shades??? Oh yeah! Oh my gosh, you look so... well... distinguished! 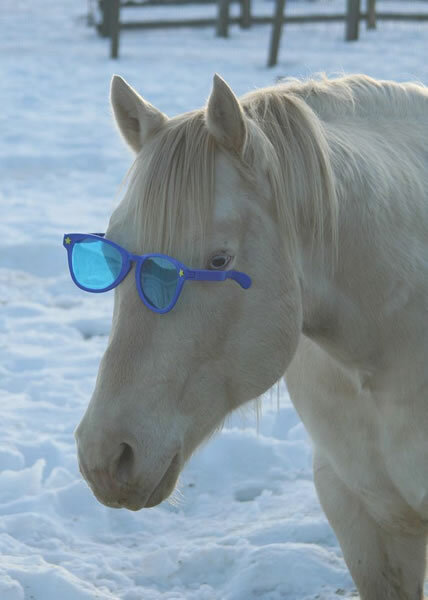 So just where are those mares?! Do we need to say any more about temperament? 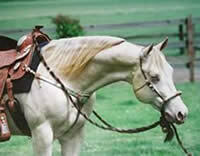 Commander is a perlino quarter horse stallion with very balanced conformation and an exceptional temperament. 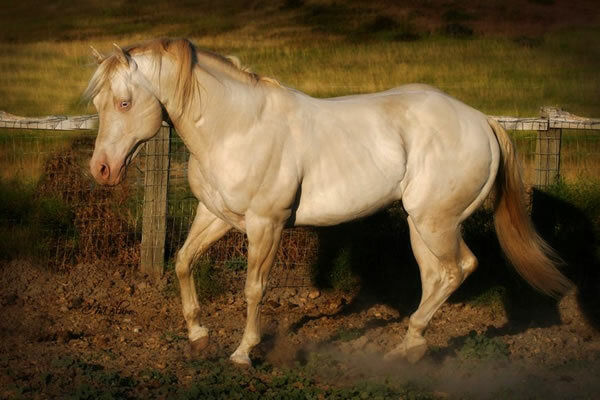 His sloped shoulder, good hip, long shaped neck and solid bone are a testament to the old foundation quarter horse bloodlines found throughout his pedigree. A well shaped head and the intelligent light in his blue eyes give credence to modern traits prized in today’s quarter horse. 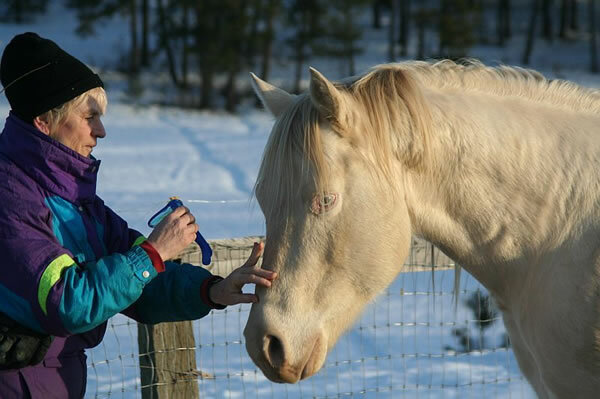 A good temperament and willing disposition are traits that we believe are imperative in breeding animals. Commander is well-mannered and a gentleman yet has a playful nature that delights us. He passes on these traits to his off-spring who have been praised for their people orientated nature, willingness to please and calm but intelligent view of the world. 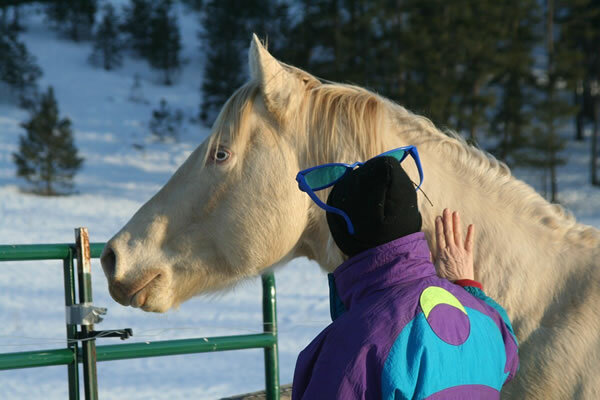 With 39 foals born since he started breeding in 2004, Commander has crossed well with both AQHA mares and Arabian mares as well as Paints, Thoroughbreds and Appaloosas. We believe it is a testament to a good stallion when he attracts interest from other breeds and then produces foals that live up to those expectations! 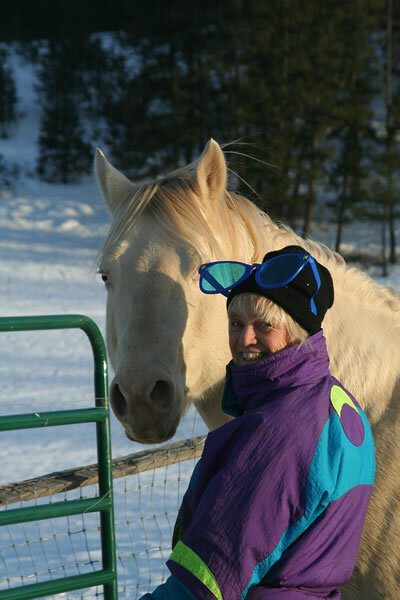 Spanish High Command (“Jazzy”), came from the acclaimed Northwest AQHA breeding program of Barb McLean. 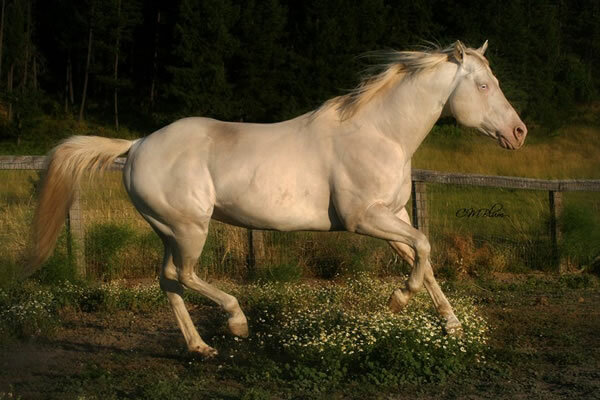 She crossed her stallion, Centurion Command who carried the bloodlines of King Fritz, with well bred broodmares to produce horses that excelled in both the halter ring and performance arena. 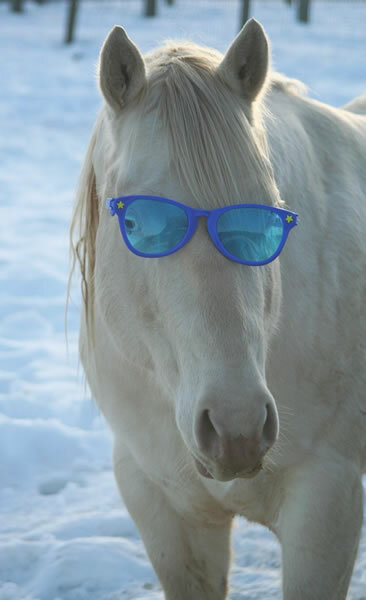 Jazzy is our AQHA mare that still turns heads of quarter horse breeders as they come up the ranch drive! 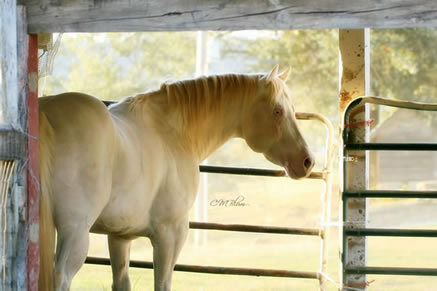 Continental Cad, is a 15.2 hand palomino/dun who is regionally famous in the northwest. 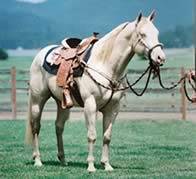 100% Foundation Quarter Horse Registry and 88% in the NFQHA, “Cad” has Points in Heading and Heeling, is a Grand Champion and Winner in Games (Supreme times), Halter, Western Pleasure, Reining, Trail, English, Heading, Heeling and Breakaway. As his owner states, he is also a darn good over the hills trail horse!